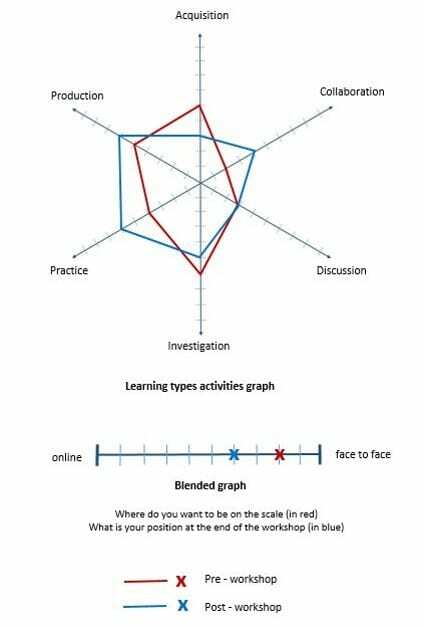 We mapped the tools used by our academic colleagues to the ABC learning types. This is non editable PDF (size A3) version of the file, relevant to UCL. The file will be updated annually. If you would like to adapt the ‘tool wheel’ for your university, please contact us and we will send it to you in editable format. Our colleagues from University of Reading adapted the ‘tool wheel’ to suit their learning environment and are happy to share it, too. Thank you to Adam Bailey and colleagues from Centre for Quality Support and Development – technology Enhanced Learning http://www.reading.ac.uk/cqsd/TechnologyEnhancedLearning/cqsd-TechnologyEnhancedLearning.aspx – @UniRdg_TEL. 2016 was a busy year for ABC LD! Paper: Rapid and Creative Course Design: As Easy as ABC? Following our successful bid to the HEFCE Catalyst Fund, which aims to drive innovation in the higher education sector, Digital Education and CALT launch a new project today called UCL Action for Curriculum Enhancement (ACE). 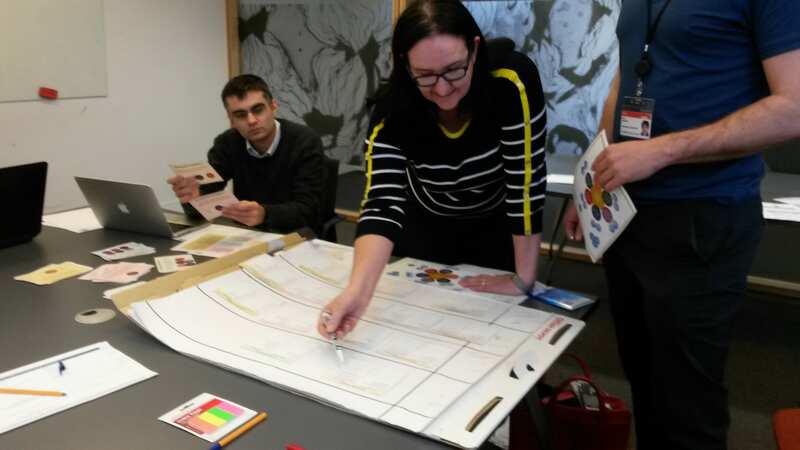 Read more..
Digital Education has now run 21 of our popular rapid learning design workshops. ABC uses an effective and engaging paper card-based method in a 90 minute hands-on workshop. 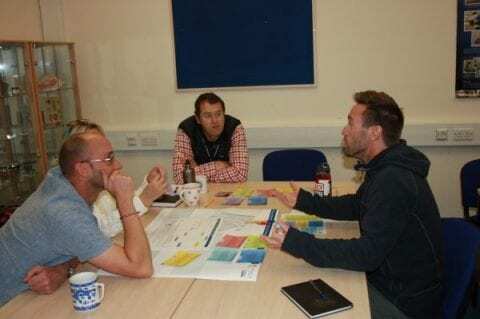 It is based on research from the JISC and UCL IoE and over the last year has helped 70 module and course teams design and sequence engaging learning activities. It has proved particularly useful for new programmes or those changing to an online or more blended format. To find out if ABC is for you this short video captured one of our workshops earlier this year. We are currently developing an online toolkit to support the workshop, have been working closely with CALT to embed the Connected Curriculum in designs and we are developing collaboration projects with The University of Glasgow, Aarhus University (Denmark), University of Leiden (Netherland) and Universidad Adolfo Ibáñez (Chile) in order to look at the learning impact of this method. Our colleagues in Chile are even translating the workshop into Spanish. Book us early! We start our ABC 2016 tour with a visit to Glasgow! The ABC curriculum design method uses an effective and engaging paper card-based approach in a 90 minute hands-on workshop. 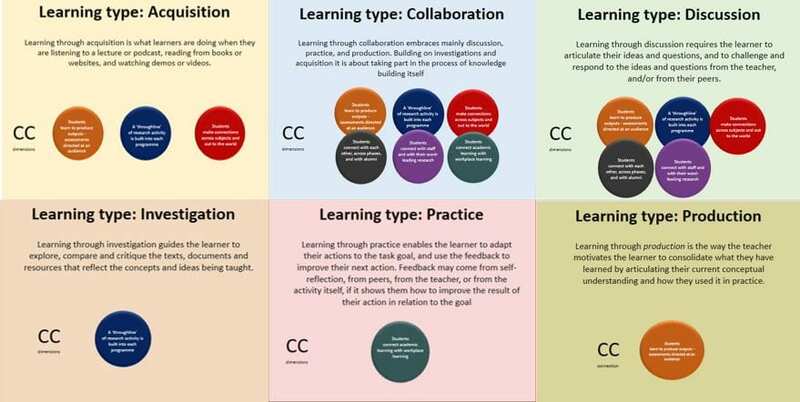 It is based on research from the JISC and UCL IoE and designed to help module teams design engaging learning activities. It is particularly useful for new programmes or those changing to an online or more blended format. More information below. A 90 minute hands-on workshop to help module teams design engaging learning activities. 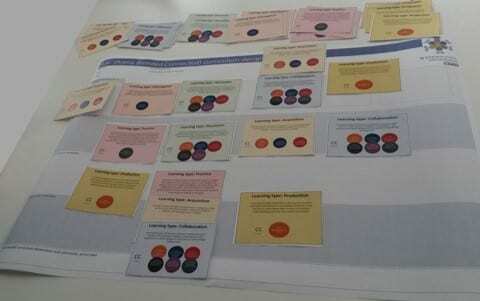 Teams work together to create a visual ‘storyboard’ showing the type and sequence learning activities required to meet the module’s learning outcomes and how these will be assessed. ABC is particularly useful for new programmes or those changing to an online or more blended format. Between March and September we had 11 workshops with 37 teams from SLMS and BEAMS. To organise ABC workshop for your programme contact Clive Young and Nataša Perović. The resources are also adapted for ABC CPD and Life learning courses. **UCL IoE: Laurillard, D. (2012). 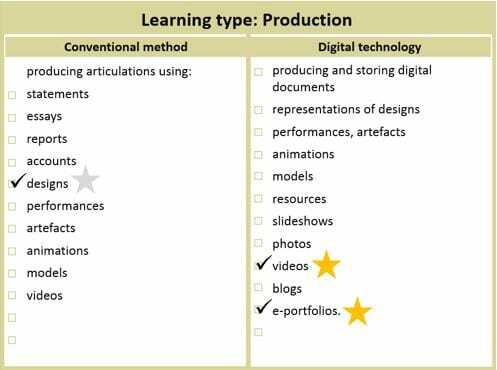 Teaching as a Design Science: Building Pedagogical Patterns for Learning and Technology. New York and London: Routledge. The ABC curriculum design method is a ninety-minute hands-on workshop for module (and programme) teams. This rapid-design method starts with your normal module (programme) documentation and will help you create a visual ‘storyboard’. 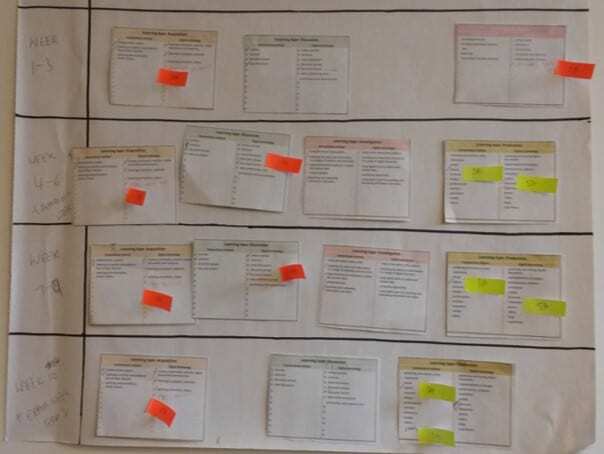 A storyboard lays out the type and sequence learning activities required to meet the module’s learning outcomes and how these will be assessed. ABC is particularly useful for new programmes or those changing to an online or a more blended format. 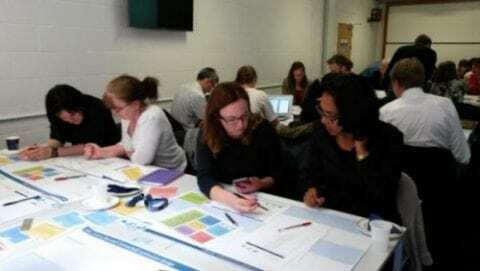 The method uses an effective and engaging paper card-based approach based on research from the JISC* and UCL IoE**. Six common types of learning activities are represented by six cards. These types are acquisition, inquiry, practice, production, discussion and collaboration. The team starts by writing a very short ‘catalogue’ description of the module to highlight its unique aspects. The rough proportion of each type is agreed (e.g. how much practice, or collaboration) and the envisaged blend of face-to-face and online. Next the team plan the distribution of each learning type by arranging the postcard-sized cards along the timeline of the module. With this outline agreed participants turn over the cards. Each card lists online and conventional activities associated with each learning types and the team can pick from this list and add their own. The type and range of learner activities soon becomes clear and the cards often suggest new approaches. The aim of this process is not to advocate any ‘ideal’ mix but to stimulate a structured conversation among the team. Participants then look for opportunities for formative and summative assessment linked to the activities, and ensure these are aligned to the module’s learning outcomes. The final stage is a review to see if the balance of activities and the blend have changed, agree and photograph the new storyboard. The storyboard can then be used to develop detailed student documentation or outline a Moodle course (a module in Mooodle). The ABC team is developing a program-level version based on the Connected Curriculum principles.